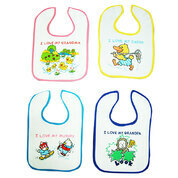 Learning to feed one's self is a marvellous journey of discovery: tastes we like, those we dont, textures, smells...wonderful! 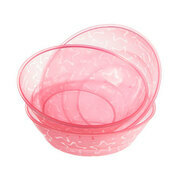 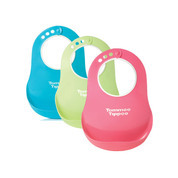 Our Baby Feeding category is filled with products that are designed to help keep the fun and enjoyment in baby feeding, minimising the stress that can sometimes rise when infants see feeding time as fun time. 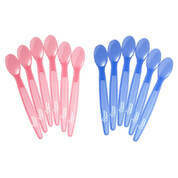 We have Essentials Feeding Spoons x 6 for younger infants, and Infant Knives and Infant Forks for those who have grown in confidence. 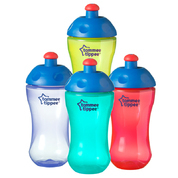 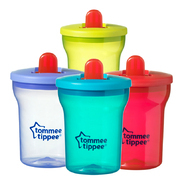 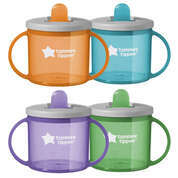 We also offer a range of feeding Bowls, Plates, Cups, and Beakers from Tommee Tippee, as well as our own Non-Spill Trainer Cups.